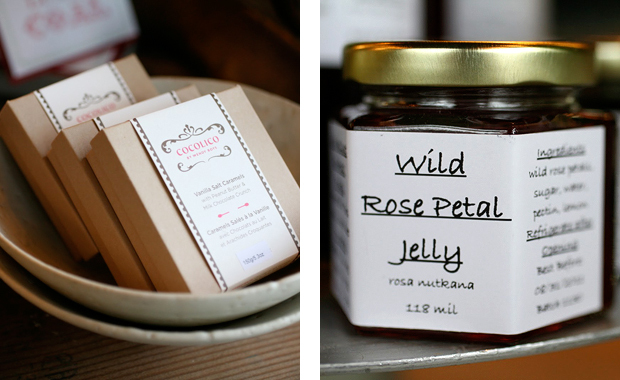 We are also very pleased to present our foraged jelly and syrup's from Powell River. Wild Rose Petal Jelly and Wild Black Berry Syrup to name a few. We love the simple packaging and the fact that each have about four ingredients in them.